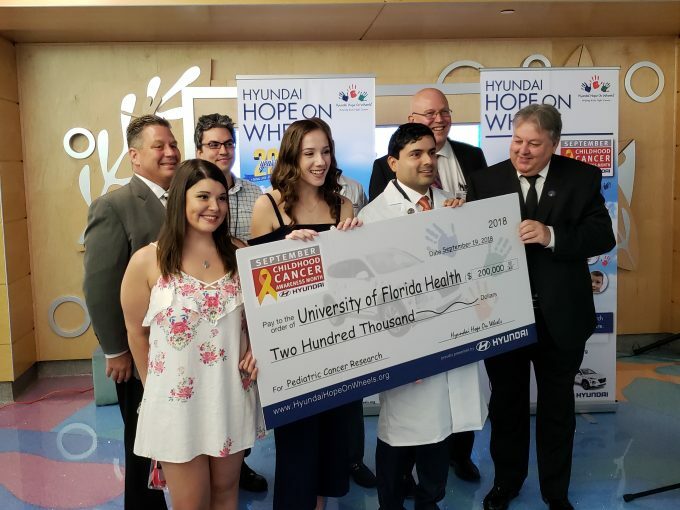 Last month, representatives from the Hyundai Hope On Wheels® program presented a $200,000 Hyundai Young Investigator Grant to UF Health pediatric oncologist Paul Castillo, M.D., during an event at UF Health Shands Children’s Hospital. 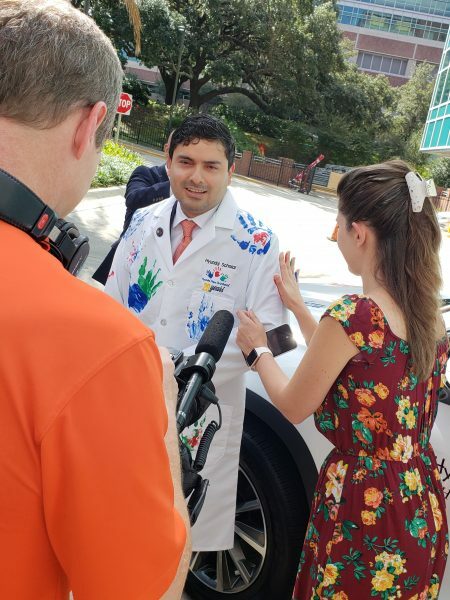 The special ceremony invited pediatric cancer patients to participate in the program’s signature Handprint Ceremony, where patients placed their colorful handprints on the Hope Vehicle that travels nationwide to honor kids battling cancer, raise awareness of the disease and to inspire hope toward a cure. Thank you to Dr. Castillo for all you do for our patients, and thank you to Hyundai for recognizing and helping to fund Dr. Castillo’s ongoing pediatric cancer research. 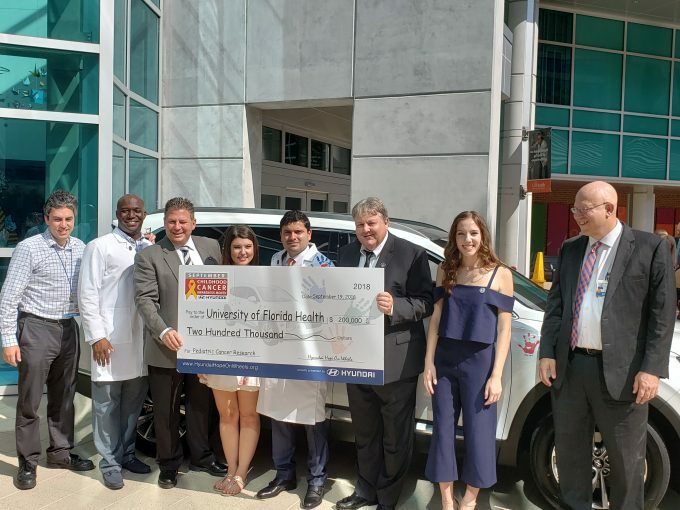 Sign up to receive stories like these in your inbox. Subscribe to “For the Kids” below!